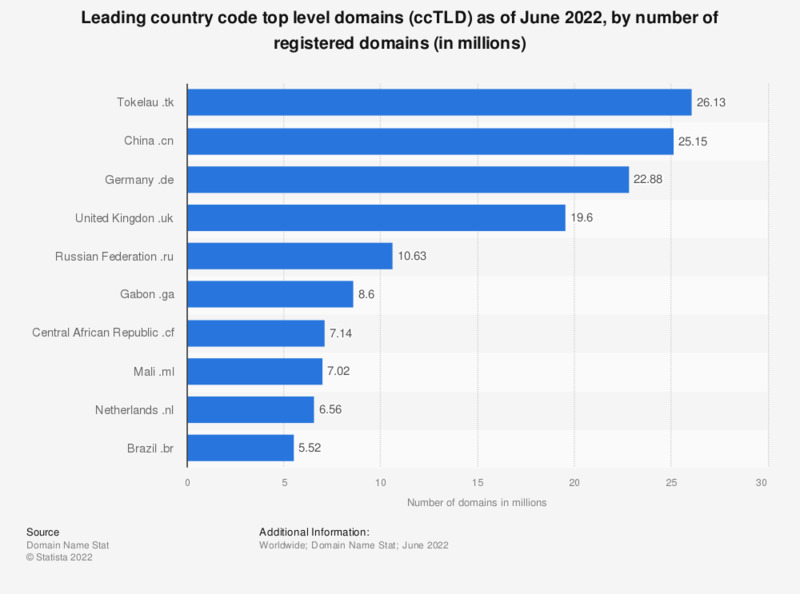 This statistic displays the leading country code top-level domains (ccTLD) as of April 2019, by number of domains. As of the measured period, there were approximately 14.15 million .de domains. Domains registered to Tokelau were ranked third with 12.02 million registrations. .tk is the ccTLD for Tokelau, a territory of New Zealand that has a population of approximately 1,400. The tremendous popularity of .tk is due to the fact that there are no residency requirements to register a .tk domain name, and .tk domain names are offered for free (for the first year) with minimal restrictions.